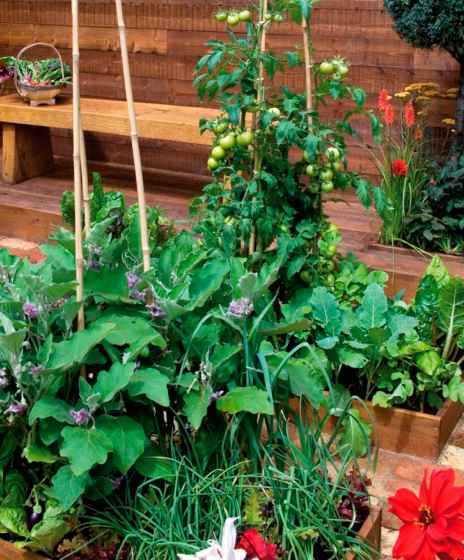 Although herbs hanging in the kitchen add a homey touch, leaving them exposed to moisture in the air for too long will eventually degrade their flavor. Therefore, as soon as the herbs are crackly dry, remove the leaves from the stalks. Be careful not to crumble the leaves or you'll lose some of the aromatic oils. Rlace the leaves in airtight containers. Glass or ceramic containers arc your best choice because metal and plastic can affect the flavor of delicate herbs. Store the containers in a cool, dark place away from heat for up to a year. To use home-dried herbs in recipes, crumble the leaves when measuring to get an accurate measure and then proceed as directed. If you need to buy dried herbs, check tor a fresh smell and bright color. Once herbs are harvested or safely stored, you're ready to unleash their power in our homemade fonnulas for savory seasonings, like vinegars and herb-flavored oils, in refreshing teas, or in many of their useful guises in cleansers, potpourris, or candles. Herbs like parsley and basil have a lot of moisture in their leaves. Although hang drying will work, freezing often gives more flavorful results. To prepare, place 2 cups of herbs in the blender with 4 cups of water, and blend until herbs are well distributed in the water. Then freeze the herbal water in ice cube trays. When frozen, unmold and place in plastic zipper bags, then label. To use, drop an herb cube into sauces, soups, or stews during the last 15 minutes of cooking. If you don't want added water in Lhe recipe, defrost the cubes in a small container and strain out the water. To dry herbs in direct sunlight, place them stem side up in a paper bag that has several holes cut out for air circulation. 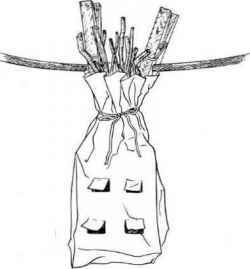 Attach the bag to a string or clothesline using clothespins. Although delicate leaves and flowers are the most common herb tea ingredients, pungent roots, barks, and spicy seeds also make tasty brews. But these tougher plant components need a little boiling for best flavor, "This is my husband's favorite tea," says Mindy Toomay, cookbook writer and author of A Cozy Book of Herbal Teas. "This blend is also good iced, but you must double the strength as the melting ice cubes will dilute it,"
How to freeze herbs in an ice cube tray?